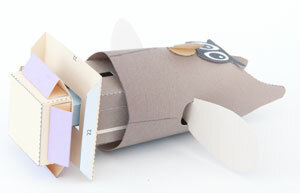 Finishing the last touches of the Hoot model today – I've done the photography for the instructions. Just the page lay outs to do now. The completed model is a simple but fun owl model. Press the button at the bottom of the box and the owl flaps its wings. It'll be exclusively available to subscribers. I've also been messing round with an updated layout for the website. There won't be anything to see in that department for a while. But it'll be worth the wait! ← Happy New Decade! Hoot!